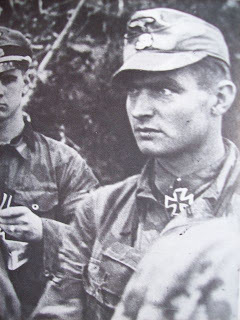 Max Wünsche - one of the poster boys of the SS was one of the enigmatic figures of WWII – Wünsche knew Hitler and served as an SS Standartenführer in Hitler's body guard – in the1st Panzer Division Leibstandarte SS Adolf Hitler (LSSAH) on most of the fronts of the war, notably on the Russian front and later the 12th SS Panzer Division Hitlerjügend in Normandy. 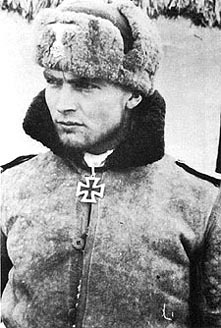 He won many honours during his service, notably including the Knight's Cross of the Iron Cross with Oak leaves & the Iron Cross 1st Class & Iron Cross 2nd Class amongst other awards. 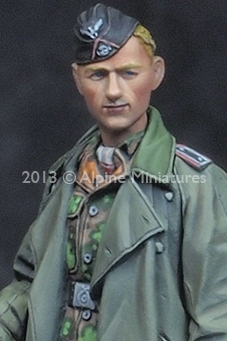 He is well known to most who are aware of the leading soldiers for Germany during the Second World War. 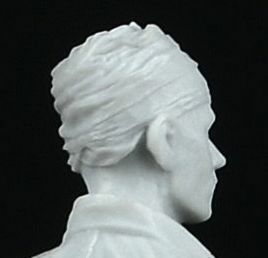 For good reason this enigmatic person has been the subject of an Alpine Miniatures sculpt before – again carved by Taesung Harmms who made this figure in figure “Max Wünsche LAH Kharkov 1:35th Figure Set No. 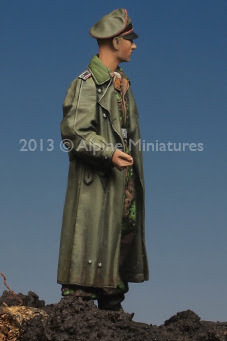 35057” – a great figure – but I think we might have an even better piece here. 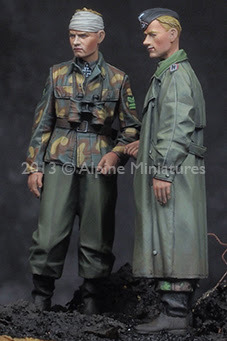 Wünsche - Captured here in 35th scale in this set both by himself and with a fellow soldier from his unit in Normandy. 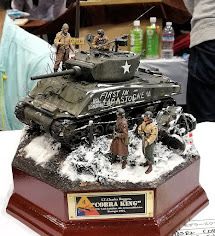 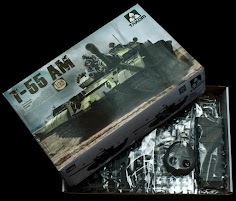 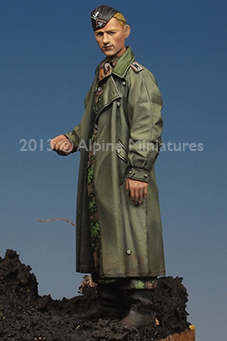 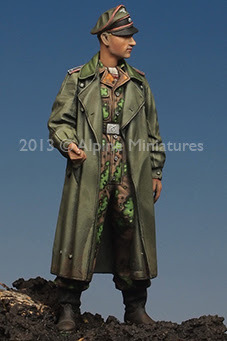 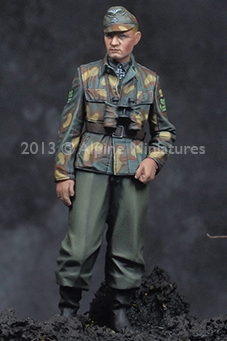 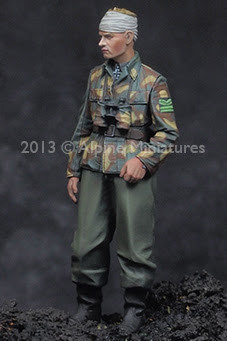 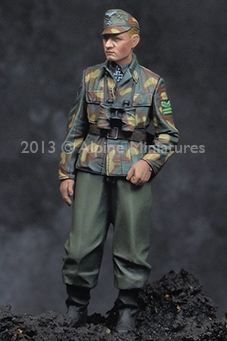 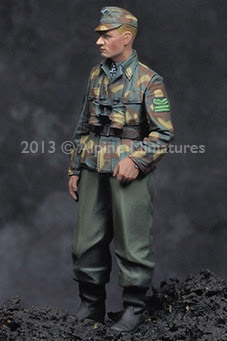 During the time of his escape from the Falaise pocket whilst commanding the 12th SS Panzer Division in 1944, is sculpted by Taesung Harmms and the box art is very skilfully painted by Dr. Jin Kim. 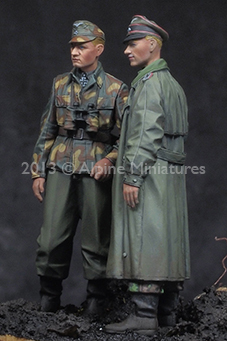 The two figures are sold separately but can be bought together in this package. 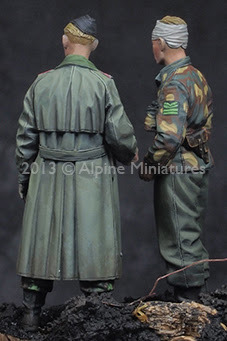 I will talk a little about what is common to both figures before we look at them individually. 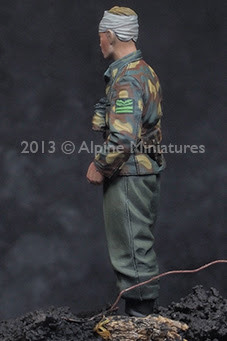 This Alpine kit came in the trademark little lime green lettered plastic box with the figures in a zip-loc bag each. 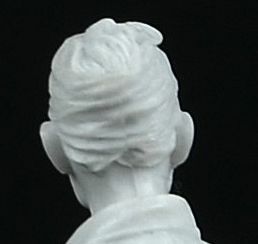 The resin is the soft-ish grey (and hard to photograph you must excuse my ham-handedness) that is easy to carve and not smelly at all like some resins. 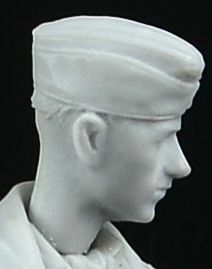 It is easy to work, especially around delicate parts that need to be separated from their casting blocks. 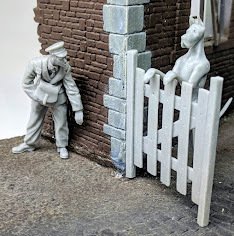 Each figure indeed is attached to a small bit of resin or casting block which needs to be removed but this isn’t a probs-bob as the blocks are all in easy places to be removed - Under arms, under necks and the little under the feet on the torso. 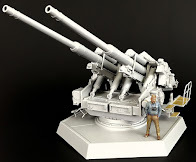 Not a lot of preparation needed here which is a massive bonus and the reason why you buy resin kits. 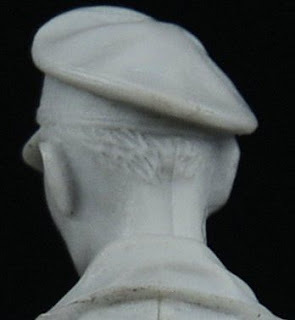 On both figures there is a slight seam on the middle of the back of the neck. 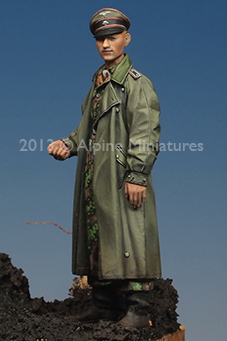 This takes a few seconds to scrape off. 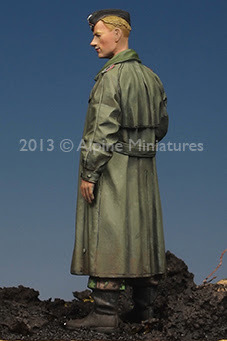 That is reaching but the only point I can find in the negative I am sorry. 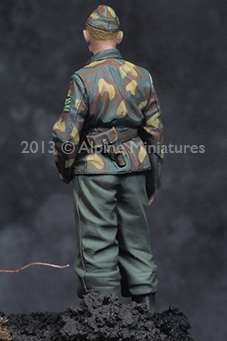 OK – now on to the figures individually. 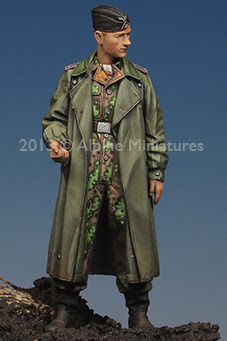 At the time of this sculpt Wünsche became the commanding officer of the 12th SS Panzer Regiment of the 12th SS Panzer Division "Hitlerjügend" under Panzer Meyer on 07-06-1944. In the Battle of Normandy, D-Day the 12th destroyed 219 Allied tanks in one month; Wünsche was awarded Oak Leaves to his Knights Cross for his achievements at Normandy. 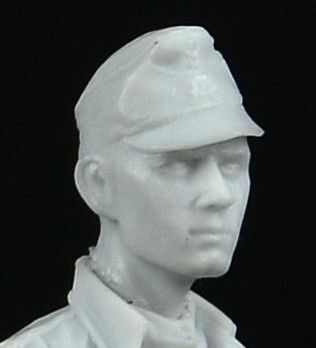 In August, his regiment was trapped in the Falaise Pocket. 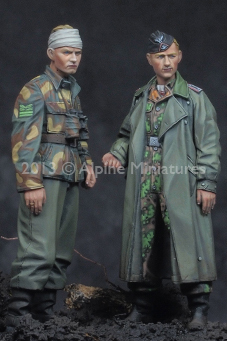 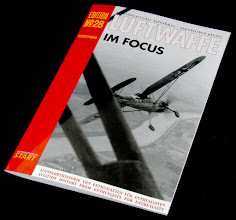 On 20-08-1944, he and two officers, Hauptsturmführer Georg Iseke and Untersturmführer Fritz Freitag attempted to escape the pocket on foot. 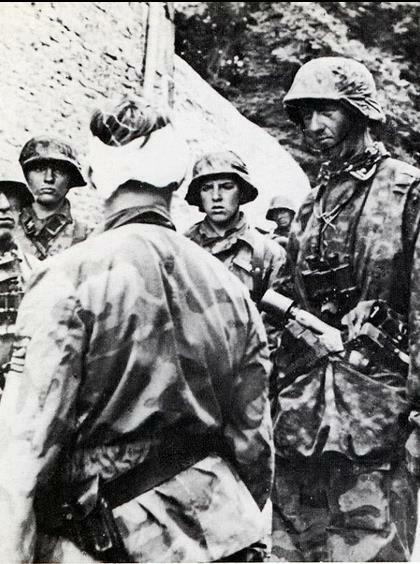 While they marched on foot, they encountered an enemy outpost where the injured Doctor was taken prisoner while Wünsche got wounded in the calf. 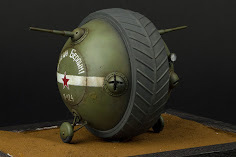 Isecke became separated and was captured. 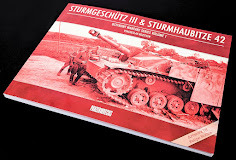 Wünsche and Frietag found a German vehicle in good working condition and drove through St. Lambert in plain view of the Canadians that occupied the town. 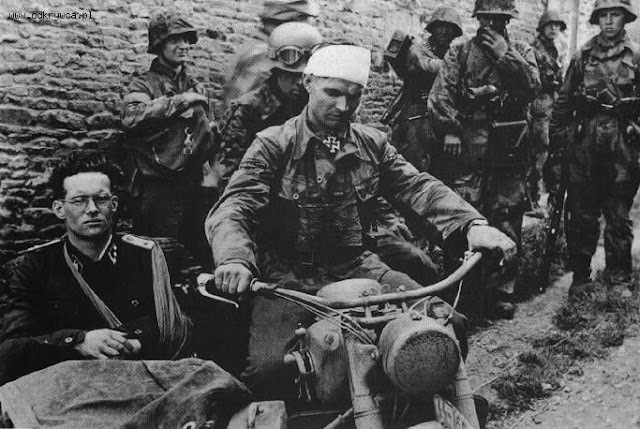 But later that day, while waiting under the cover of bushes for darkness they were captured by Allied soldiers on 24 August. 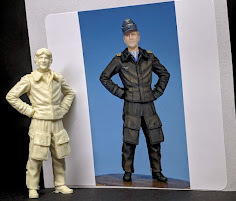 During captivity Wünsche was somewhat of a minor celebrity and he even met Montgomery. 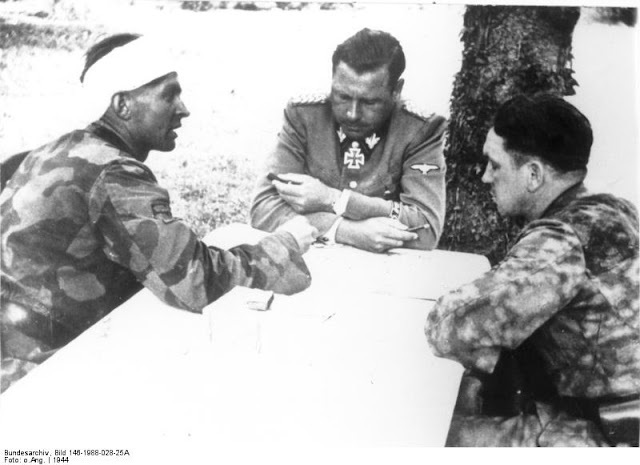 In 1948, Wünsche was released from captivity from a high ranking POW camp in Scotland and returned to Germany. 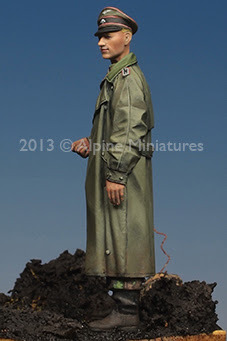 No wonder he is the subject of people’s imagination! 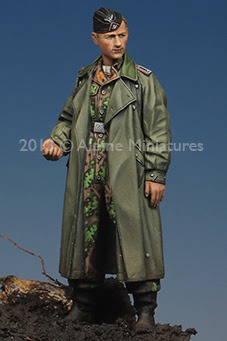 This figure of Max Wünsche – dated in 1944 from the Normandy campaign, comes with the choice of two heads – one of Wünsche wounded with a bandage on his head, and the other with an M43 peaked cap and his untouched head! 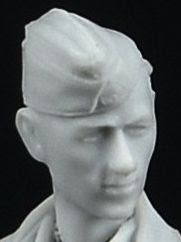 The bandaged head choice puts this figure firmly in the timeframe of the Normandy battle where he was wounded and the pictures of him that inspired this choice come from. 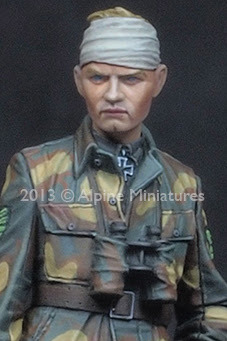 The sculpt of his head is in my eyes a better rendition of Wünsche that we got previously from Alpine Miniatures his very animated face is seen here very obviously under the stress of battle. 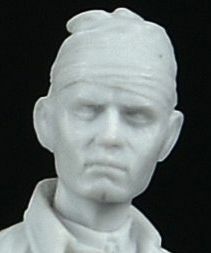 The bandages are very finely scalped on his head here – just like in the photos of the man in this review. There are many pictures of Wünsche in happier times on the internet and you can see the Normandy pictures show him much more stressed like this sculpt. 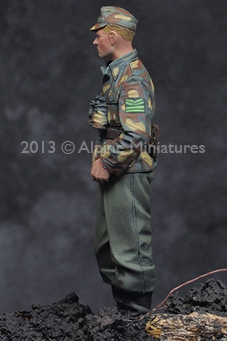 His headgear choice looks like an M42 peaked cap but it was actually Italian camo that was privately made for some officers. 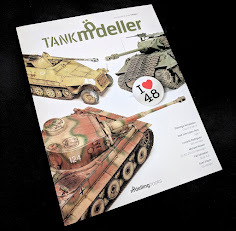 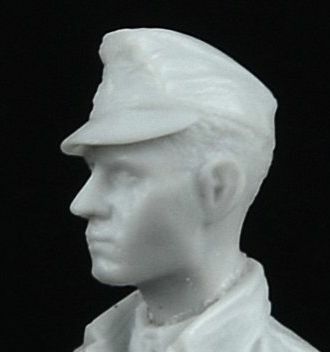 This has a different cut than the standard M43 cap. 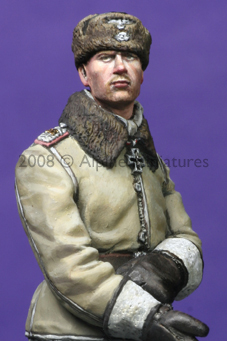 Of note on his chest are his Zeiss opticals with a camo cover over them and something that caught my eye was his “sore throat” knight’s cross inside his tunic which is buttoned onto his shirt. 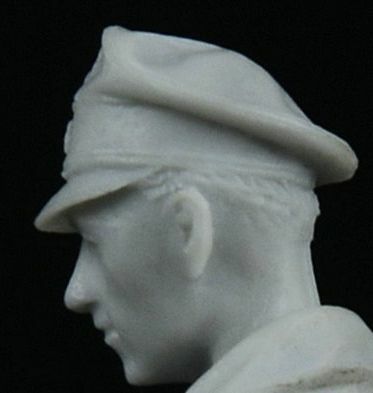 Some very fine work in this sculpt. 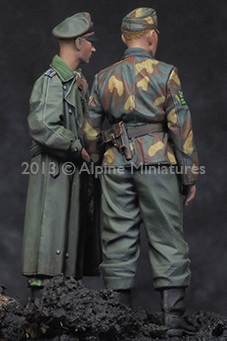 The thing I didn't take a picture of as well is the notch for the pistol Wünsche carries on his rear hip. There is a little notch that it slots into, and with glue this allows you to have a part that doesn't fly off every time you touch it but gives you the 3D effect of an actual real item, not just added into the sculpt. 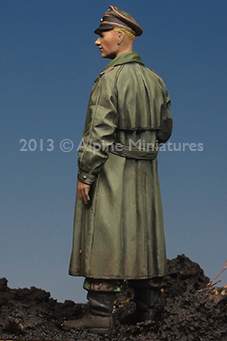 The rolls and fall of the cloth on both his tunic and his pants is notable here as very natural. 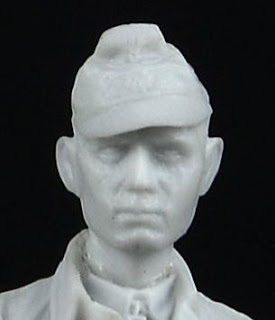 A great representation of the man – and like I said earlier a superior effort to Harmms’ earlier work. 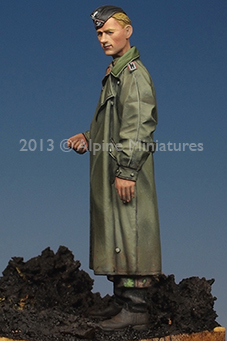 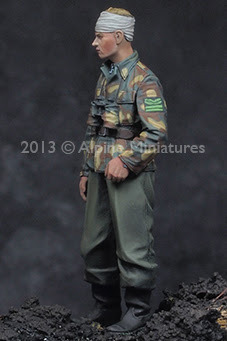 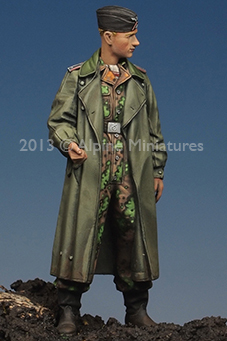 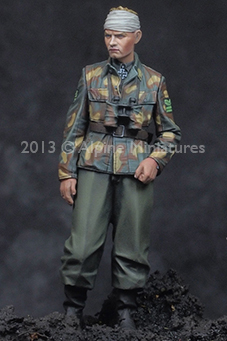 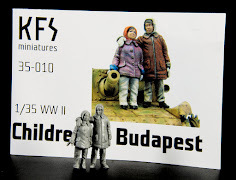 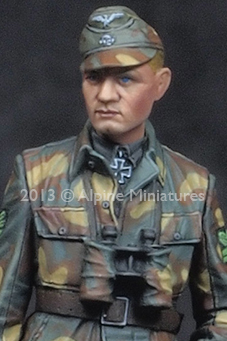 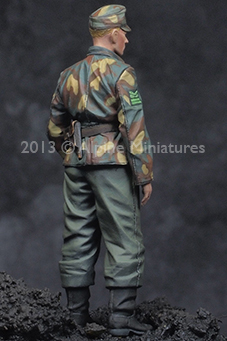 This NCO form the Panzer corps is sculpted by Taesung Harms as well as his companion figure Wünsche. 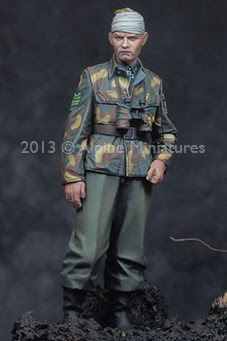 This though does not make him a less interesting figure - far from it. 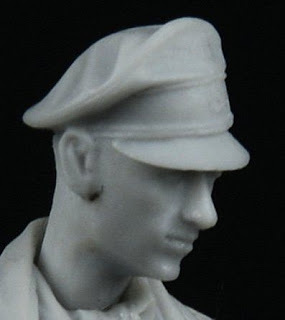 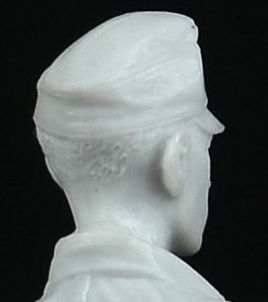 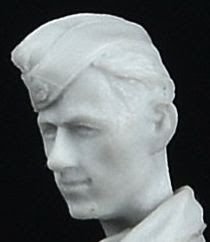 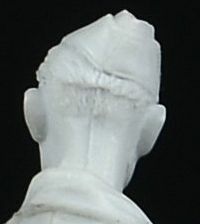 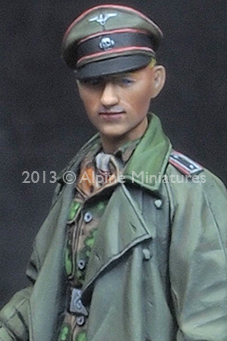 Cast in five parts, this figure has again the trademark of Alpine, two head choices, one of the heads wears an officers' folding forage cap and the other the typical Schirmmütze officers' cap. 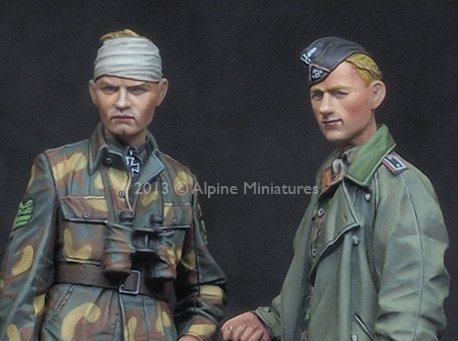 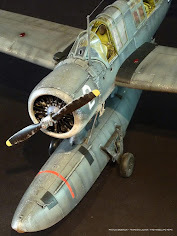 Both have the piping of the “Waffenfarbe Rosa” around them and are detailed finely with the German eagle emblem of Germany as well as the death’s head skull and crossbones of the SS. The heads are both a great choice here and details like the fine hair and eyes are well beyond my expectations of a sculpt in this scale. 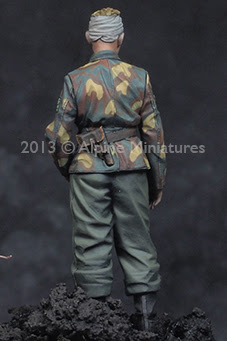 The figure is almost hollowed out between the legs; this gives the figure a real feeling of depth. 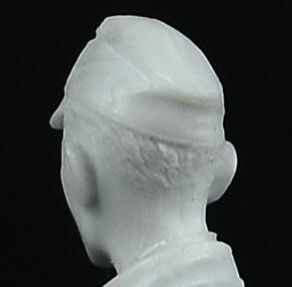 Together with the really quite natural folds in the rear of the coat as well this NCO should be great to detail and paint. 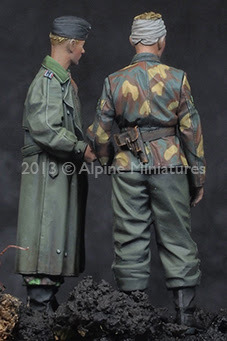 The way the at the waist band falls around his coat is again a nice detail along with the baggy trousers which meet at the high boots the soldier is wearing. The two arms are joined to a casting block in the pits which again make them an easy remove without potential mishap – the really positive thing about the way they are engineered is that they sit straight into the seam of the jacket. 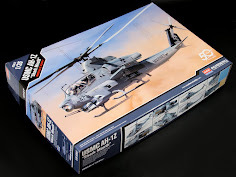 They fit like a dream and I smiled whilst putting these together I was so impressed. 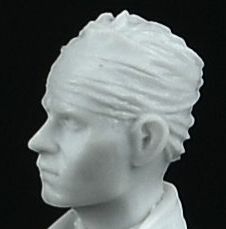 This set of master and commander are well suited in body language and they make a great set for your Normandy Diorama. 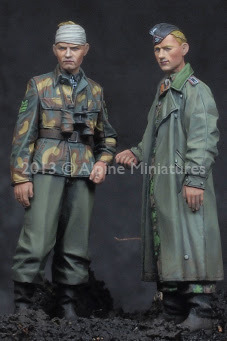 They fit together well and both of the figures aren’t being overly dramatic or unrealistic in their body language, if you look at the earlier pictures you can see the correlation of these figures with e uniforms an look of that desperate time for the men in this battle. 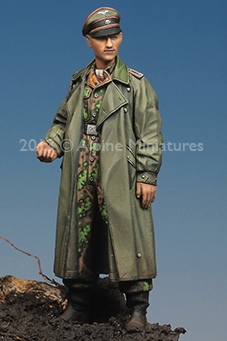 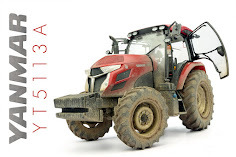 What can I say – I was bummed out to have not seen the earlier Wünsche figure in the flesh – but I think that this is an even better incarnation. 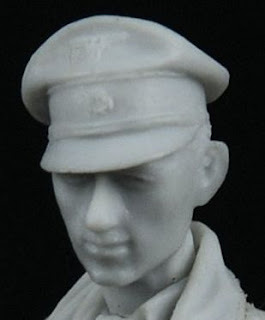 His NCO comrade is a textbook lesson on how to make a good looking soldier in 35th scale. 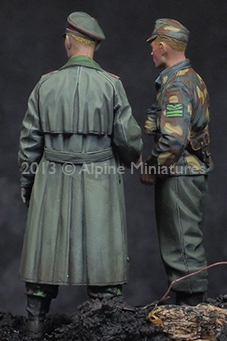 It seems we have all been schooled by Alpine again. 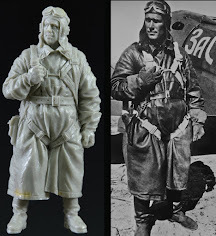 These are two great figures. 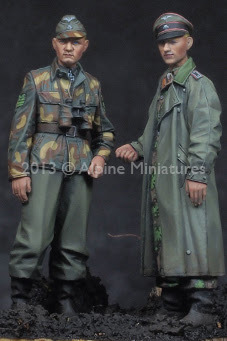 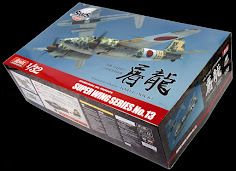 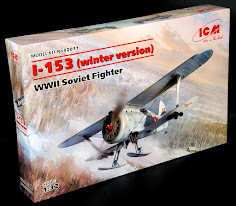 I can’t leave this review without showing you the boxart - Painted by Dr. Jin Kim here – he is a master – and this shows the potential of these figures once painted up.